How to monitor IP Camera Recorder from a PC or an Android device? First, find the address of your Mac computer running the Recorder as described in How to control IP Camera Recorder remotely from another Mac? Then, on your PC: launch a Web Browser and enter the address, as shown below. Note: enter your address instead of the example "ig-24.local"
For secure access, use the secure protocol HTTPS as described in How to connect to IP Camera Recorder remotely? Note: by default, IP Camera Recorder uses a free HTTPS/SSL certificate. 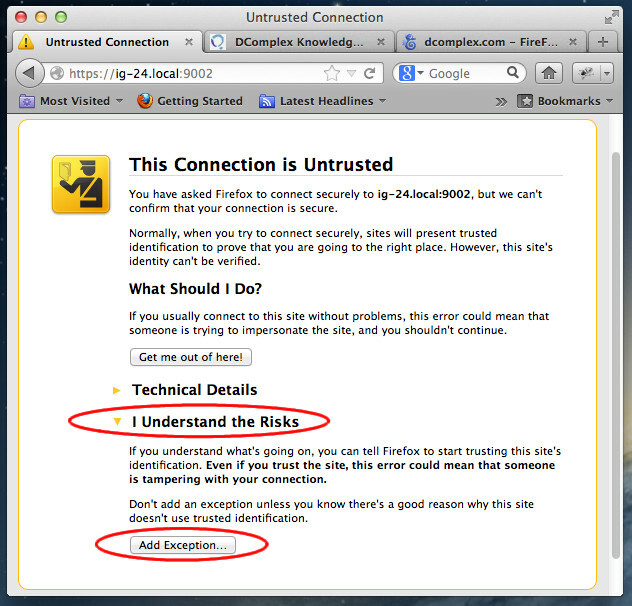 Browsers complain about it as shown above. Click the links inside the red ellipses to continue. 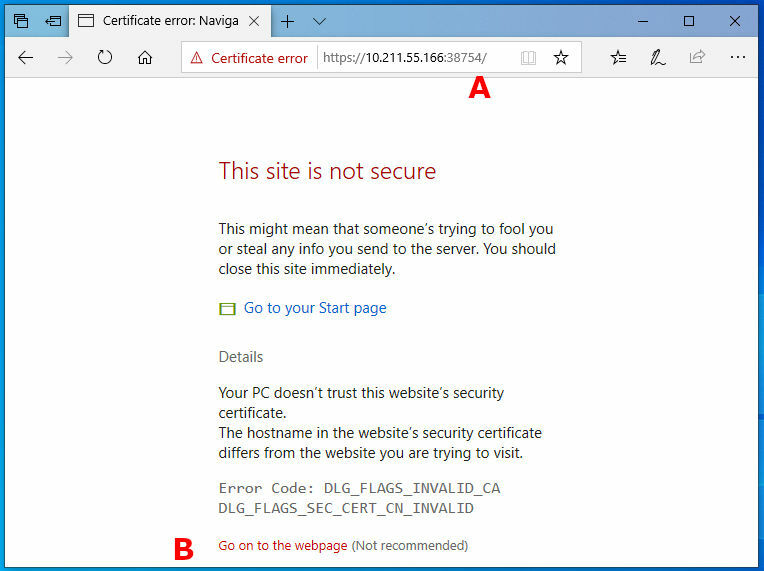 If you want to switch to the paid HTTPS certificates instead of the ones used by the Recorder in the default configuration, contact DComplex for instructions.